This month, we've been excited to bring you some new ideas to inspire your thinking on the world of employee engagement, including some stories about engaging millennials, fast-growing companies and our all-time most popular Rebel Playbook plays. To wrap up the series, I thought I'd point you to yet another place to fill up your reading list: the Rebel Playbook bookstore. On the book store site, the reading list, carefully curated by Rebel authors Glenn Elliott and Debra Corey, is split up into the different elements of the 10-step strategic model to employee engagement, the Engagement Bridge™. A few of what I would consider the "RG staples" are there – "Start with Why," by Simon Sinek, which we often reference in our blogs as part of how to pull together your employee engagement strategy, and "Powerful: Building a Culture of Freedom and Responsibility," by Patty McCord. But there are also books that I'd never heard of by a whole host of authors across the world. 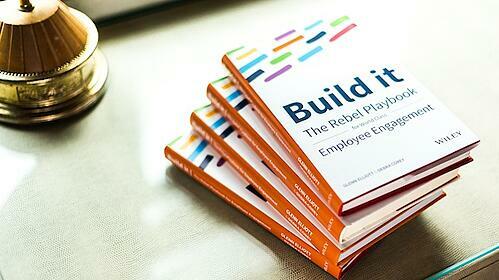 If you have books to add, feel free to add some suggestions and tweet @RebelPlaybook or comment on its LinkedIn page.